GI2MO is not only delivers an ontology but also a data model of a generic Idea Management System and instructions how to apply Semantic Web technologies to achieve a complete solution. One of the good practices of the Semantic Web is to reuse ontologies to name common concepts and move towards a state where different domains are interlinked both through common namespaces and references between the data. In case of Idea Management this could lead to easier integration with other enterprise management systems such as PLM, PLCM, ERP etc. ; development and engineering tools (e.g. bug tracking systems, IDEs); social spaces (popular portals such as Twitter or Facebook). GI2MO aims to follow this trend, however within reason. 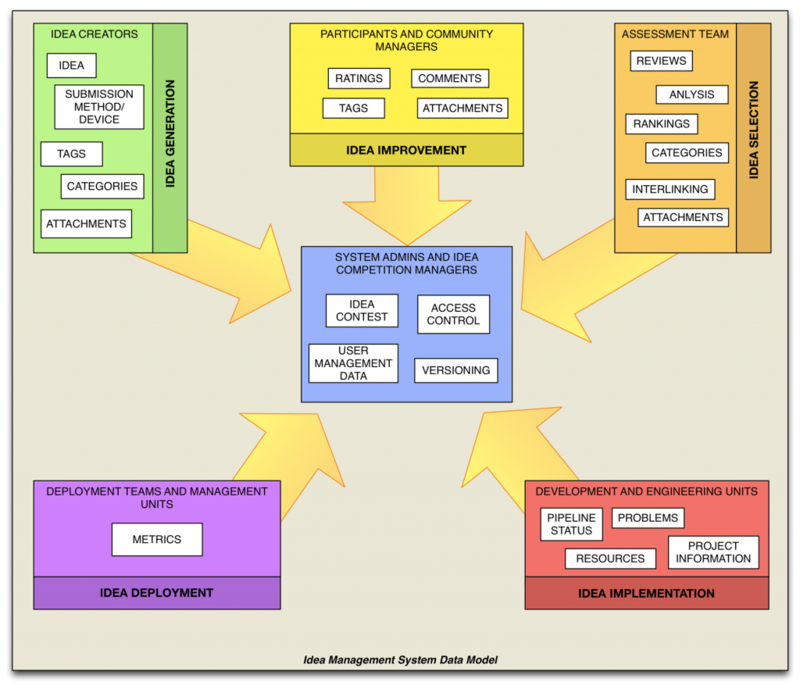 To create and apply the ontology we constructed a generic data model for the Idea Management system based on doamin study and selected a number of concepts to model with Idea Management domain ontology and a limited number with other. 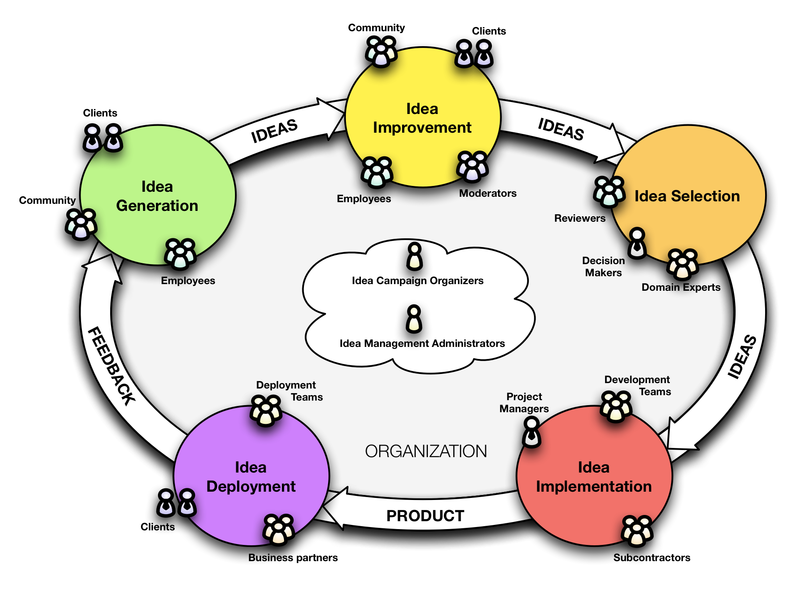 Each of the phases can defines different actors and operations (see Fig. 1) that in turn produce different data that enriches idea and connected assets in different ways. Fig.1 Idea Life Cycle and actors involved in the process. 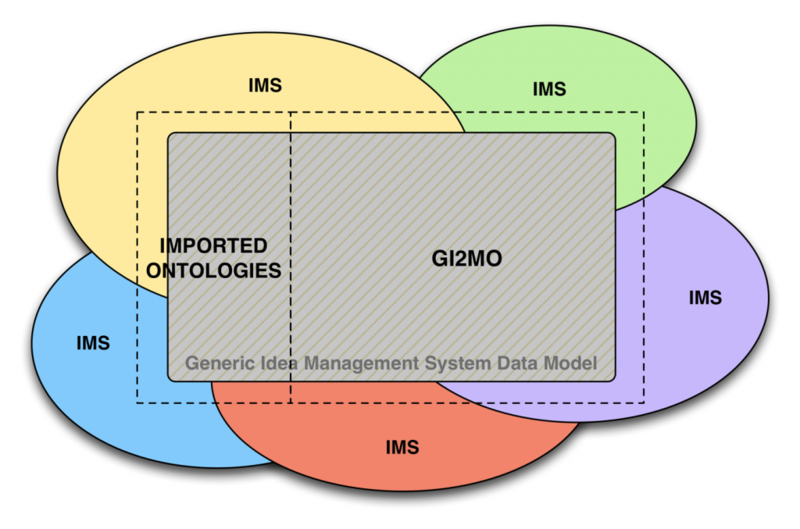 The coverage of the GI2MO data model is split in between GI2MO ontology and popular domain or core ontologies that are result of other research (Fig.3).